Hello my friends! Today’s blog post features a pattern review of the Stitch N’ Save M9009 pattern by McCall’s. I hesitated on whether I should post a blog and vlog of this make because … SPOILER ALERT: I did not like the finished garment. Today, I am sharing my most insecure feelings about my physical appearance. Somehow, I convinced myself that none of that matters, that sewing my own handmade clothes is more liberating than buying a bunch of ready to wear clothes that would make me feel even more insecure about my body. Therefore, posting a few images of me looking like an oversized elephant in a giraffe suit is simply OK. Right? I know, I know! You are probably saying… “Tea, you are being way too dramatic! You look just fine.” And, you are most likely right. However, I still can’t shake these feelings. Before I get into the pattern review let me just say that the only reason why I am posting these pictures is to educate women in the sewing community about the pattern discussed in this blog post. When doing a pattern review it is hard to give an unbiased opinion because we often judge a pattern based on how the finished garment looks on our frame. Nevertheless, I will be giving you my unbiased opinion about the Stitch N’ Save M9009 by McCall’s. This is a very easy pattern for beginners. The pattern is complete with instructions and guidelines that are very easy to understand and follow. I made view A of this pattern which is a simple pullover long sleeve top with a peplum. The pattern is very simple and consists of a bodice front and back (both pieces are cut on the fold line of the fabric), the peplum front and back, and the sleeves. The pattern calls for 2 yards of fabric to make view A (on a 60″ wide fabric). There are several sizes included in this pattern and those sizes include 8-10-12-14-16. For this project I cut a size 16 which is a 38″ bust and 43 1/2″ waist (the waist is gathered using elastic). The instructions are very simple and easy to follow and consists of 16 readable steps (for view A). 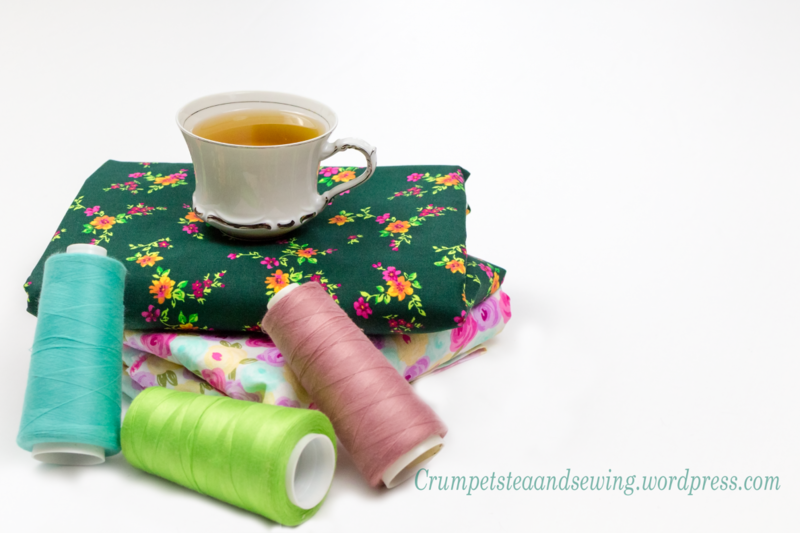 I had no issues with the instructions and I am confident that a beginner (or sewists at all skill levels) can follow the instructions and guidelines without any complications. The pattern calls for fabrics such as sweater knits, cotton knits, and interlock knit fabrics that are medium weight. I chose to make this pattern with a cotton stretch knit fabric that I purchased from fabricmartfabrics.com. Although it is a medium weight fabric, it feels lite on the body and has a considerable amount of drape to it. The fabric is a black and white fabric similar to a leopard print. One of the benefits of working with knit fabrics is the ability to forego simple alterations and adjustments. Unfortunately, this pattern may require that you make those necessary adjustments, especially adjustment to the neck and waistline. I have found that the waistline is a tad low on me. I did not adjust the waistline for this particular garment, however, if I were to make this garment in the future I would most definitely raise the waistline. Because I did not have enough fabric I had to cut the back peplum piece twice, instead of cutting it out on the fold of the fabric. Honestly, you can’t even see the seam line because the print is so busy and the peplum has a lot of movement. In addition, I would likely take in the garment at the side seams (about 2-3 inches or more). This pattern calls for elastic! You would need to make a casing around the waist and insert the elastic into the channel to gather the top. Originally, I followed the steps for making a channel for the elastic and I tried to adjust the top to my size. I quickly realized that the elastic looked unflattering on my frame. So, I removed the elastic from the waistline because it made me look bigger in size. Unfortunately, I didn’t take any pictures of the garment when I included the elastic at the waist. However, the garment has a bit of extra fabric at the right and left side front because it’s not gathered, and the extra fabric also makes me look bigger in size (but not as bad as the elastic). I simple hate that this pattern has an elasticized waist (because it makes plus size women look wider). UGH! I just don’t like having elastic hugging my waist because I have a little muffin top and I don’t think garments that have elasticized waists look flattering on me. In addition, the dropped waistline is a turn off for me. The description indicates that this pattern has a “raised waist.” I don’t know how true that is! I measured myself and the pattern pieces, more than once, before I made cuts to the garment. Based on my calculations, this top’s waistline should sit about 2-3 inches higher on me. This could be the result of one of three things (1) the fabric dropped overnight after I sewed the peplum to it. (2) the pattern design is not accurate. (3) my calculations were off. Truly, I believe that the fabric dropped overnight. But I will have to run another test before I can say for certain. Most likely, I would raise the waistline should I ever make this pattern again. I like that this pattern has multiple variations! I especially love views A & B because the peplum seems to be extra “flouncy” and has a lot of movement. I also like that this pattern has a long sleeve option, easy to read instructions, and very few pattern pieces. I love patterns that have no more than 5-7 pattern pieces because they are generally the most fast and easiest patterns. (1) DO NOT use a busy print or any print for that matter! Go for a dark solid color. Originally, I was going to use a mustard colored knit fabric. I wish I would have went with my original plan. (2) Use an accessory such as a wide belt to accentuate and draw attention to the waistline. (3) DO NOT elasticize the waist of the garment! I have found that elastic waist tops and dresses are not flattering on women who have “muffin tops” and a short torso. Like you, I also have a muffin top, ugh! I think I read somewhere that peplum top should be more flattering. I don’t have a peplum top, nor have I sewn one, but I do have a pattern that I got from a magazine that I’m dying to try – a princess seam peplum top from McCall’s M6896 that can be made out of light to mid weight woven fabric and also stable knit. Have you got any other peplum tops to compare, maybe in different kind of fabric? Unfortunately, this is the first peplum top that I’ve made. Yes! Peplum tops and dresses are supposed to be more flattering. I think this pattern is an exception because the top has an elasticize waist. Since I omitted the elastic there’s extra fabric that should be gathered. It’s just not a good pattern for me. But I do have several patterns that have peplums. Jackets, shirts, dresses. I just haven’t had the time to sew them yet. I’m most definitely going to make something soon though. Thanks for reading the blog!